PÜR The Complexion Authority™ is celebrating over 10 million compacts sold with its Limited-Edition 4-in-1 Pressed Mineral Makeup and Chisel Brush. 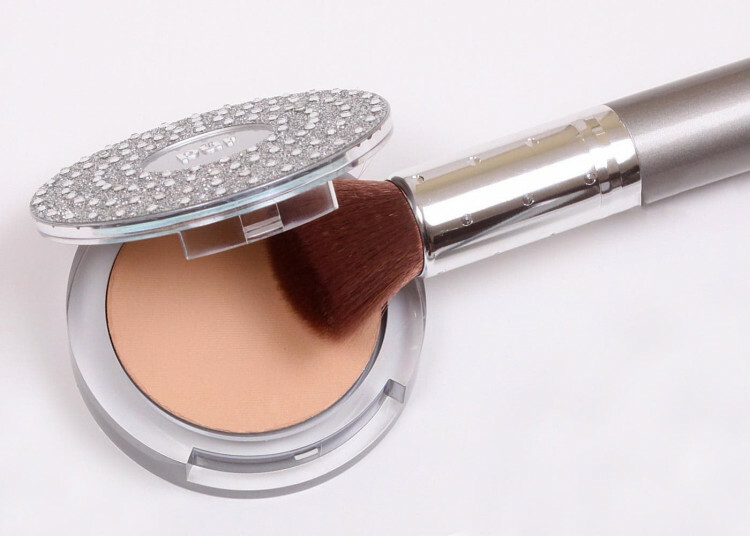 This spectacular jewel compact contains the iconic, no mess, good-for-your-skin foundation that started a revolution. Get unbeatable coverage that’s cruelty free from start to flawless finish. Our 4-in-1 Pressed Mineral Powder Foundation gives you the flawless mineral coverage you expect from PÜR with groundbreaking skincare ingredients built into our award-winning formula. Our powder foundation is adored worldwide for its lightweight feel and no-mess, no-stress application. This all-in-one foundation, concealer, powder and SPF 15 has been clinically proven to correct, prevent and interrupt your biggest skin concerns – even after the makeup comes off! That's pretty smart beauty. 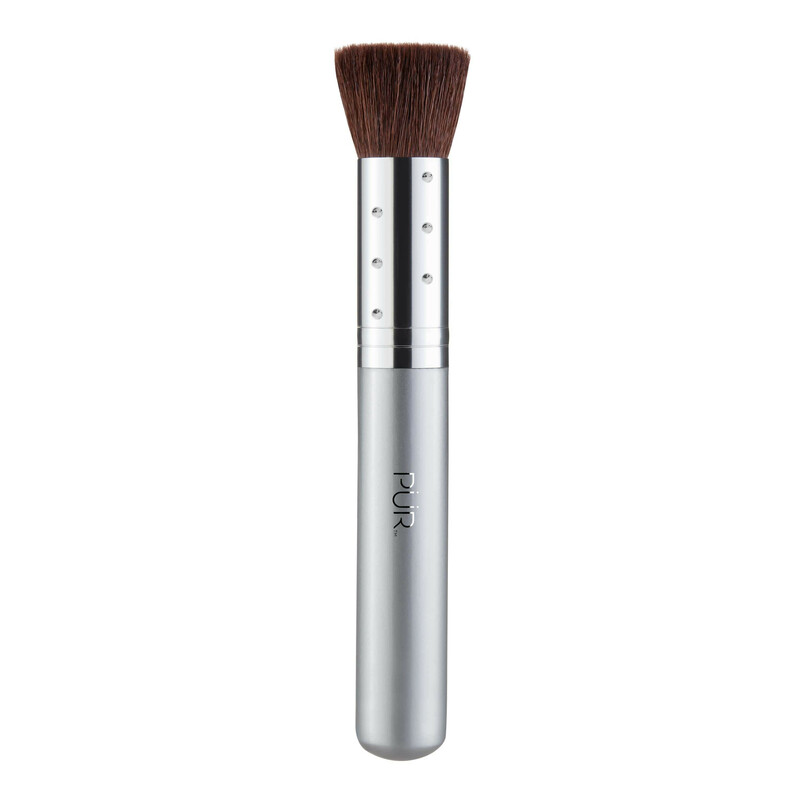 Buff 4-in-1 Pressed Mineral Makeup Foundation onto skin using the Chisel Brush in circular motions. Can be used to apply blush and other powders for a more dramatic effect. A definite must have to get the full effects of the mineral foundation. Bristles are soft with no tugging which makes application flawless! This brush is flat/compressed style. I don't use powder foundations; however, I know I will find other uses for this brush, especially when I need a tight buff on the skin. The bristles on this brush are so soft and it doesn't shed at all. I use it everyday to apply my 4-in-1. Love it!